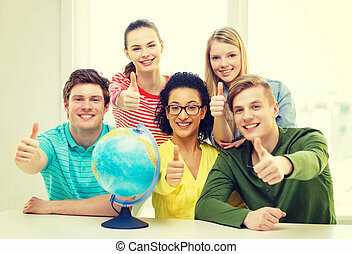 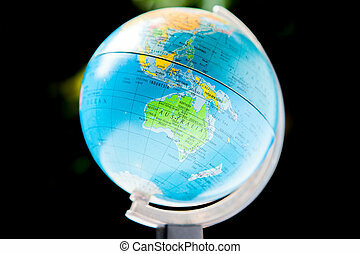 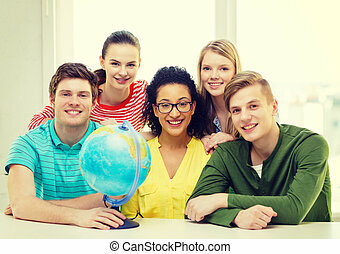 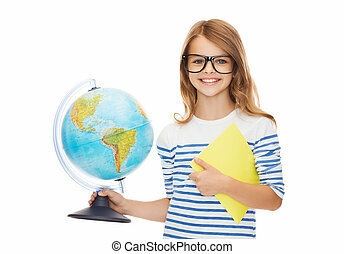 Student with globe and black board. 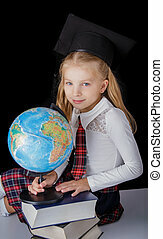 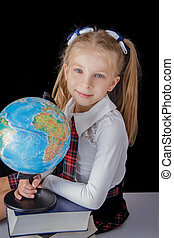 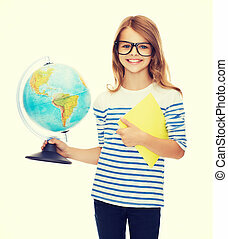 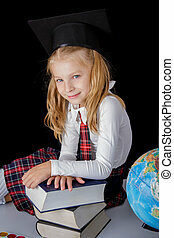 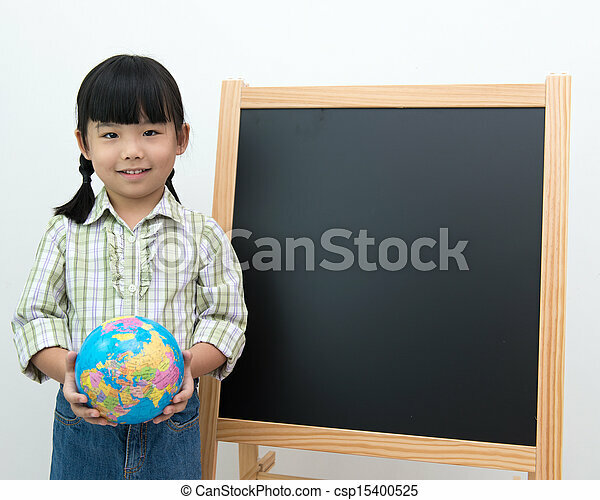 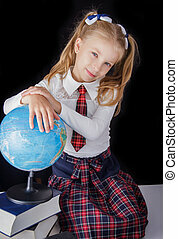 Little girl holding school globe in front of the blackboard. 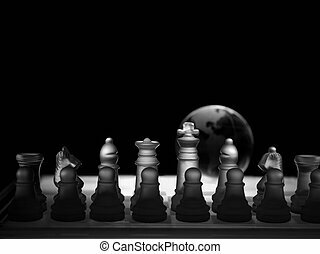 Crystal chess pieces on a row with a globe .On black background. 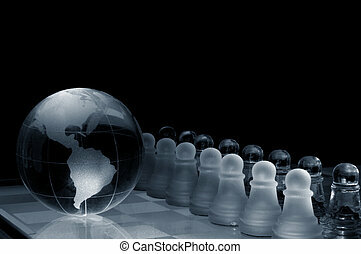 Crystal chess pieces with a globe in the background.On black background.